Ensky will release 8 figures of Pokemon Keshipoke series BW 4 in the beginning of August 2012. 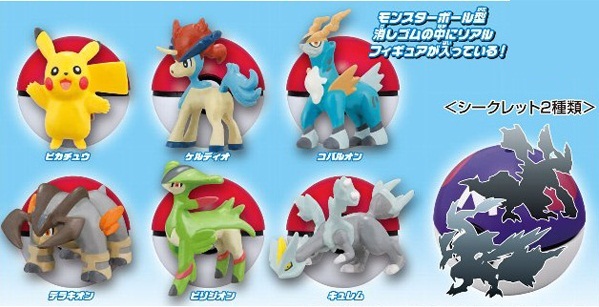 A figure comes in an eraser Pokeball. (Keshi means eraser in Japanese).